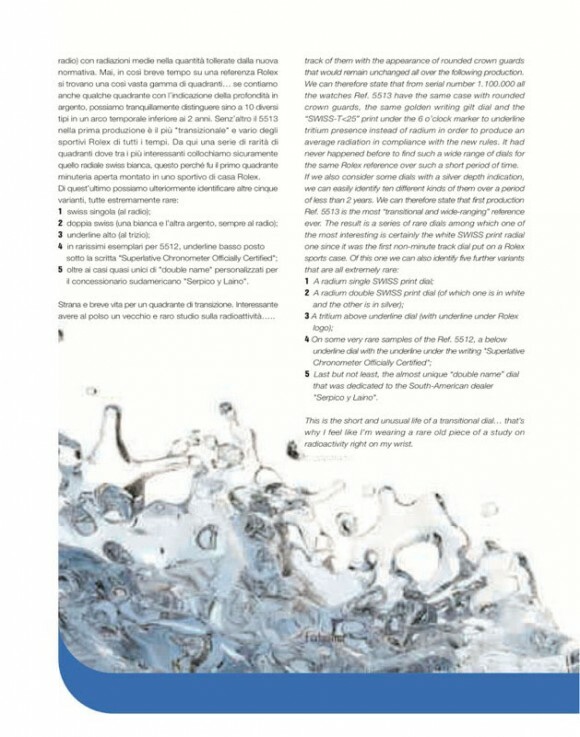 The White SWISS and Underline Explanation. 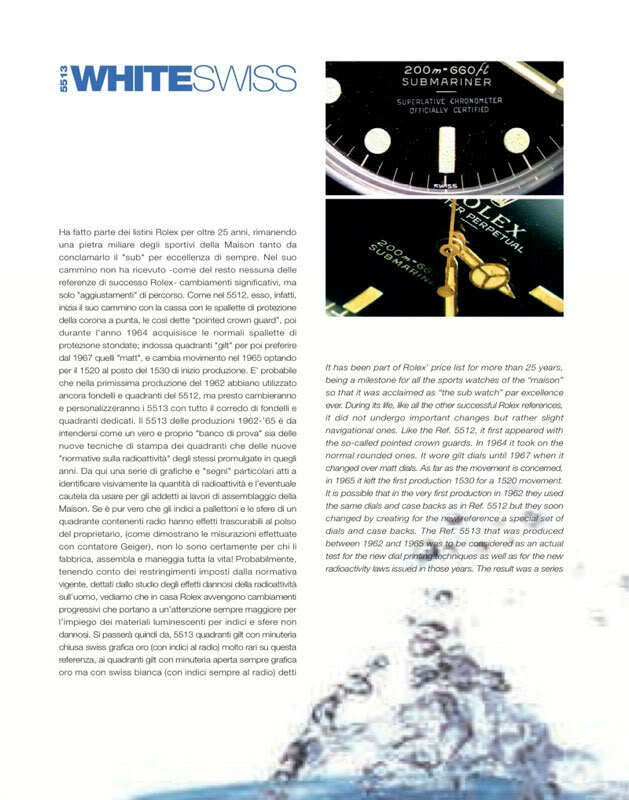 Transitional radium to tritium 1963 to 1964 White SWISS. 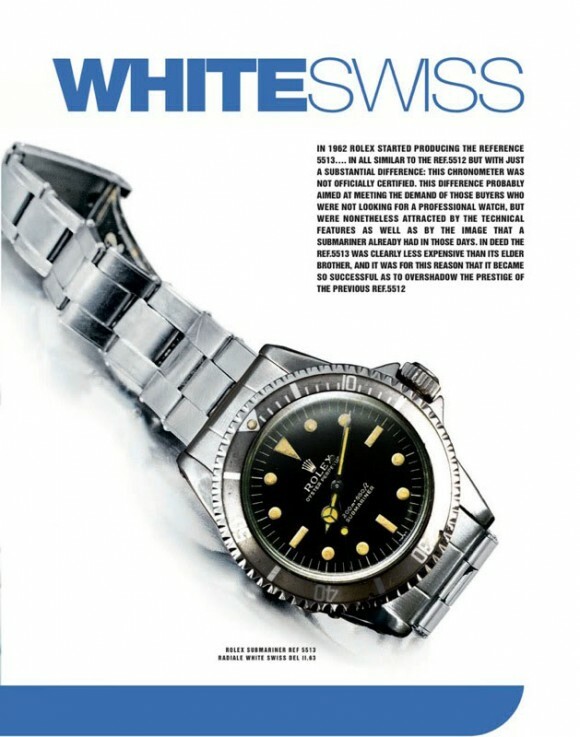 White Swiss Submariner by Marco & Marco…. Nicely written guys, thanks !! 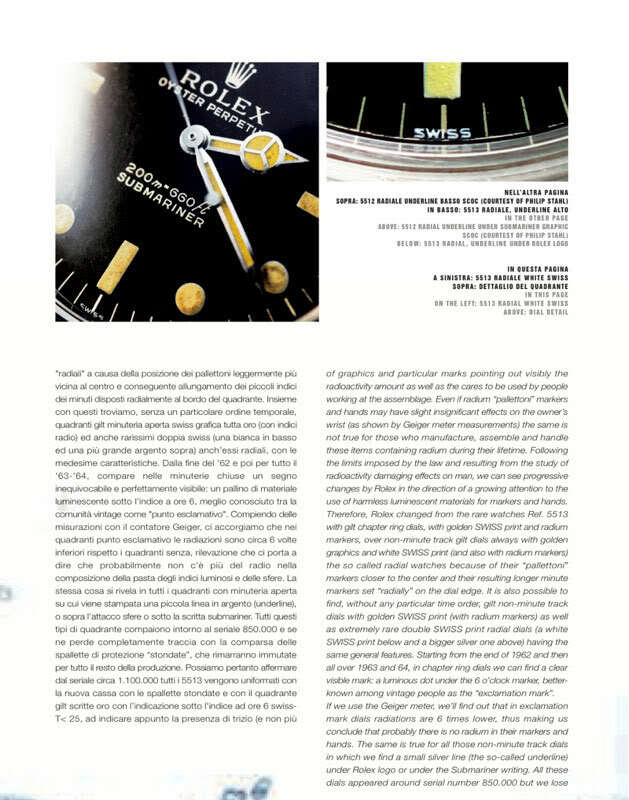 -> The only remark I have to this article is that “Exclamation dials” are seen originally ONLY in end’61 & ’62 and NOT in underline period ’62-’63!! 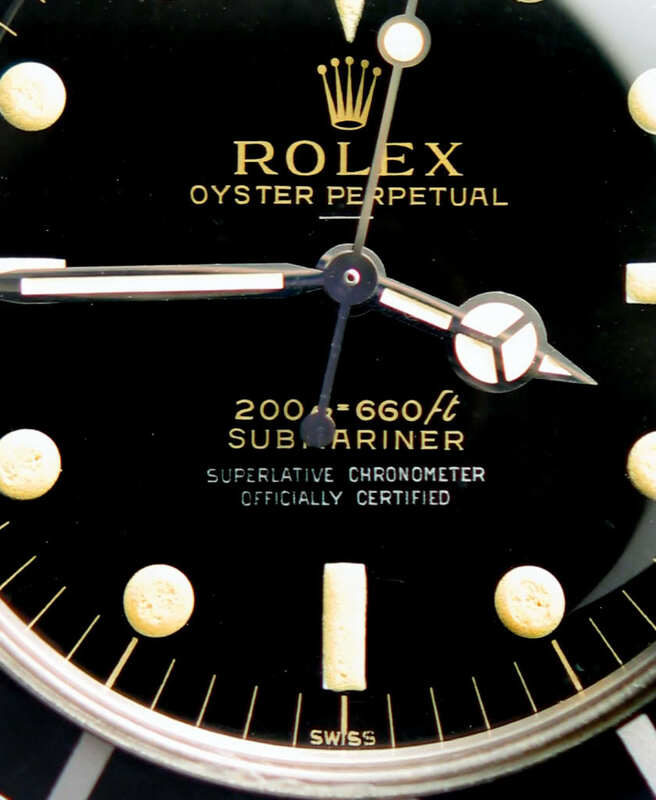 Underline ‘pushed’ the SCOC text further down, as both underline and SCOC are printed on top of the lacquer, it shows us that the SCOC print and the underline where added LATER on top of this transitional example. 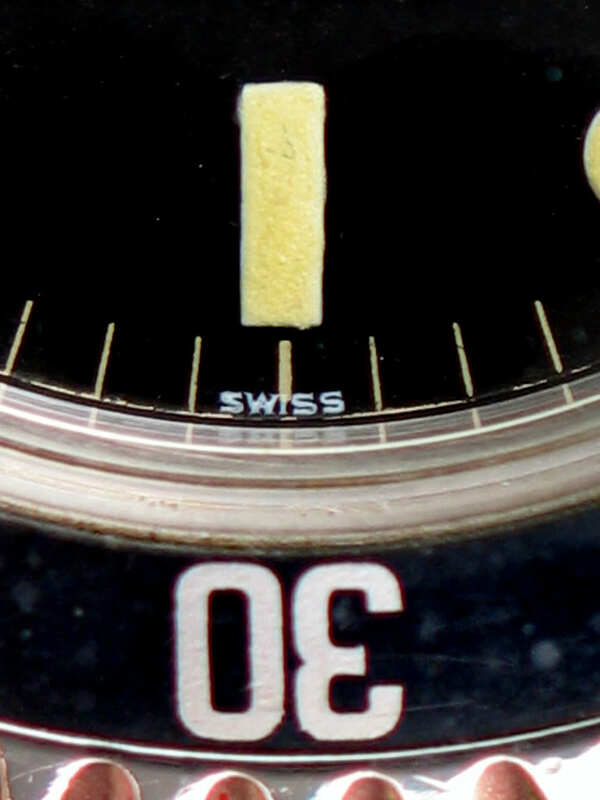 Note the second ‘orange’ secondhand and white swiss printed on TOP of open minute track. 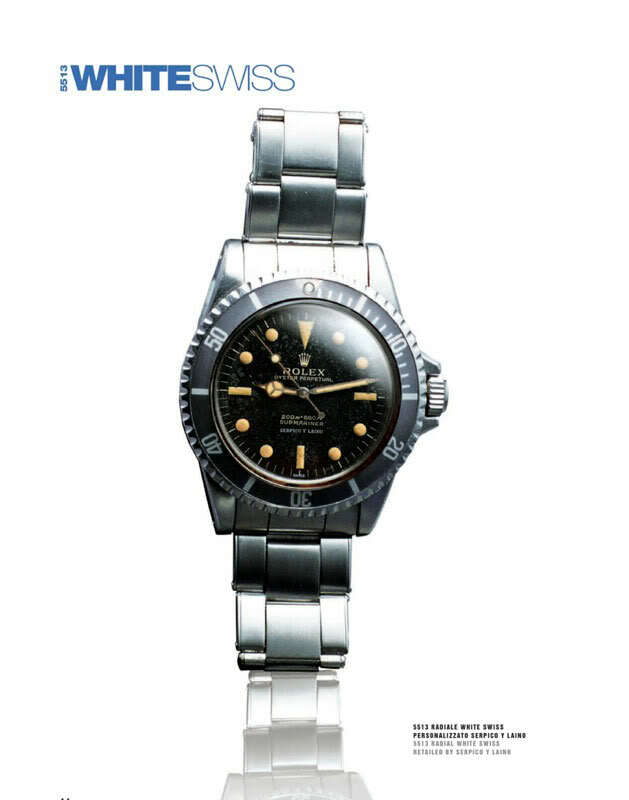 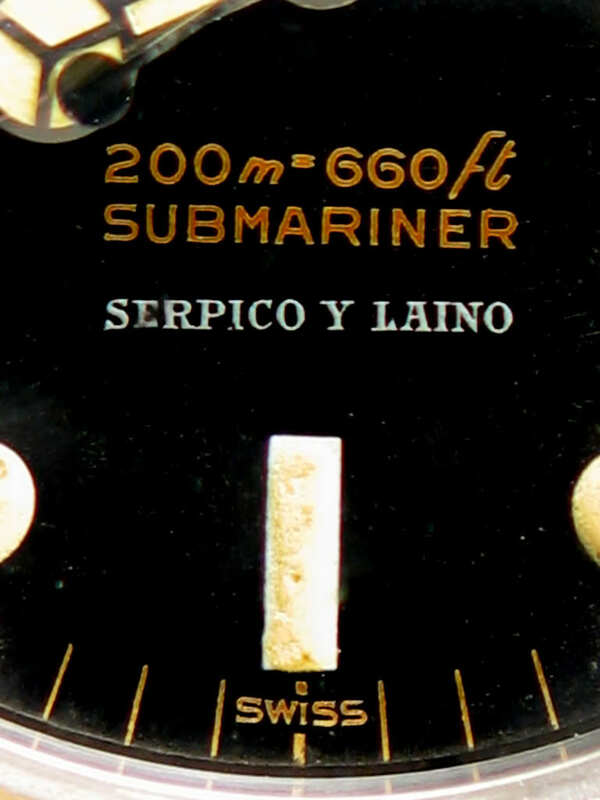 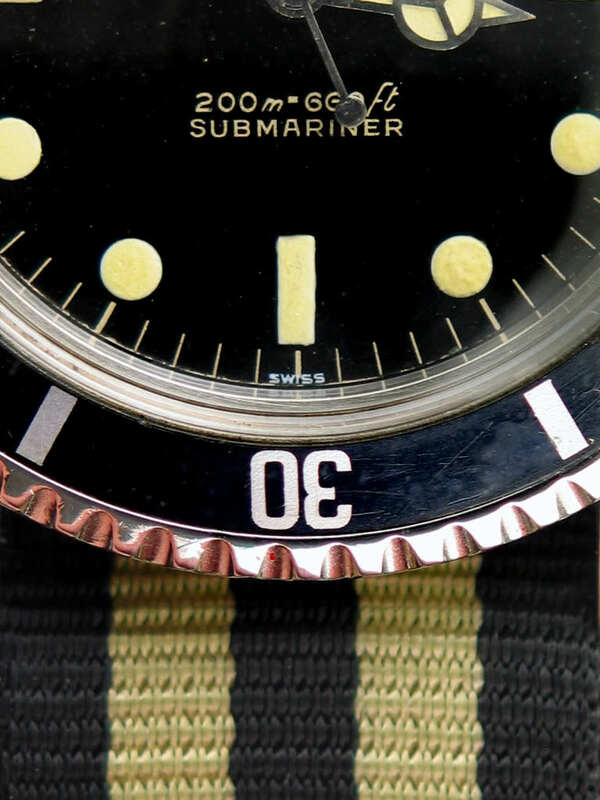 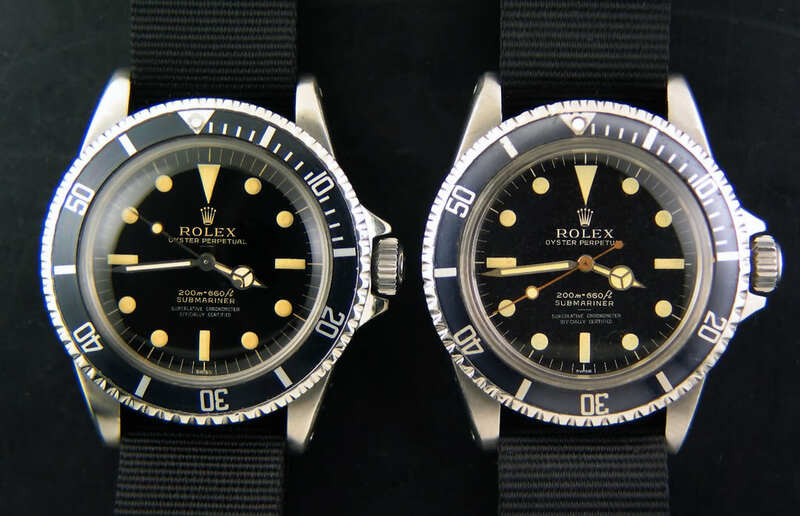 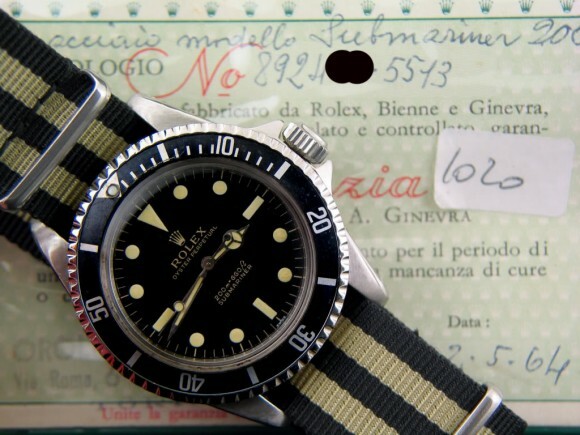 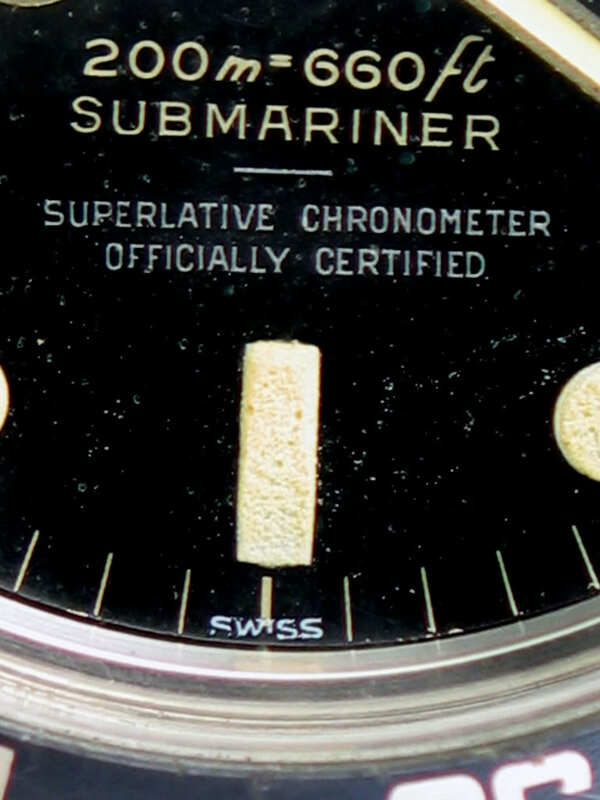 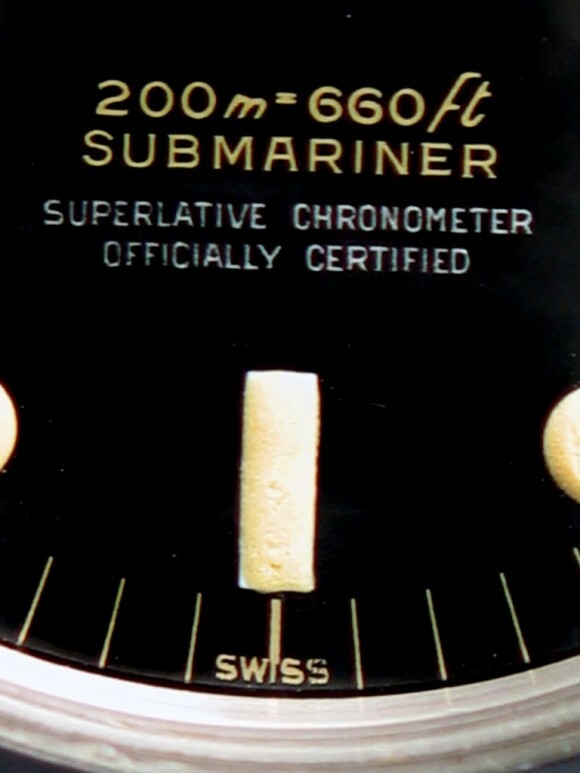 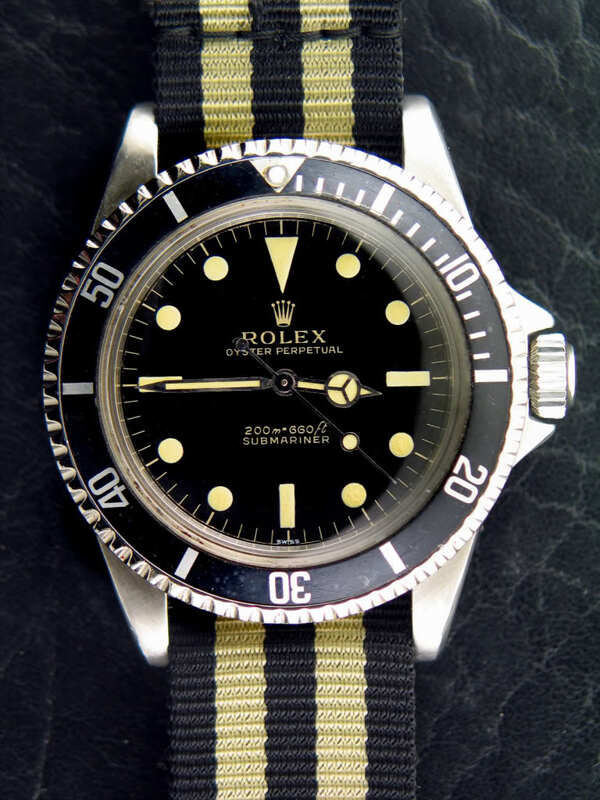 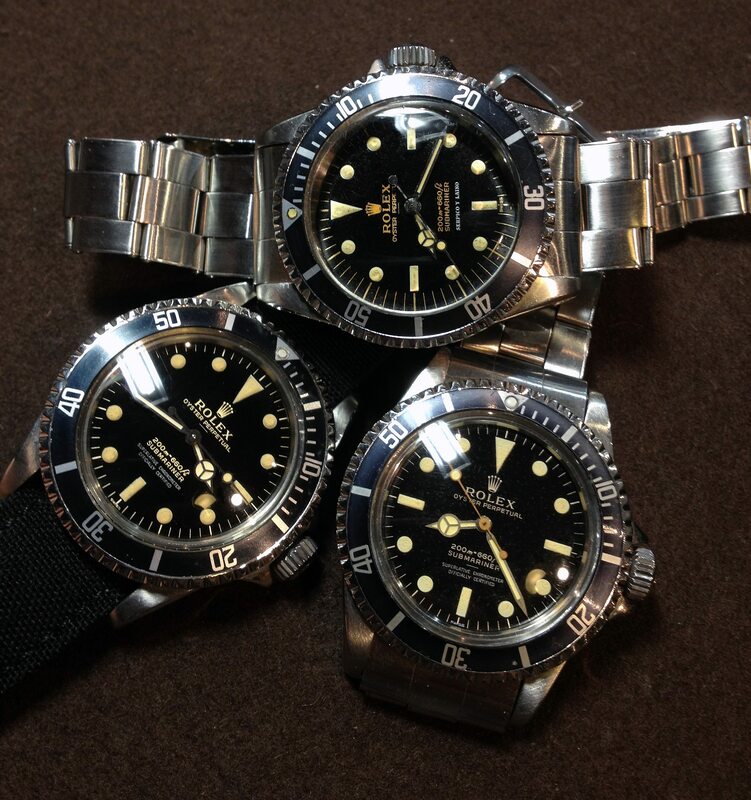 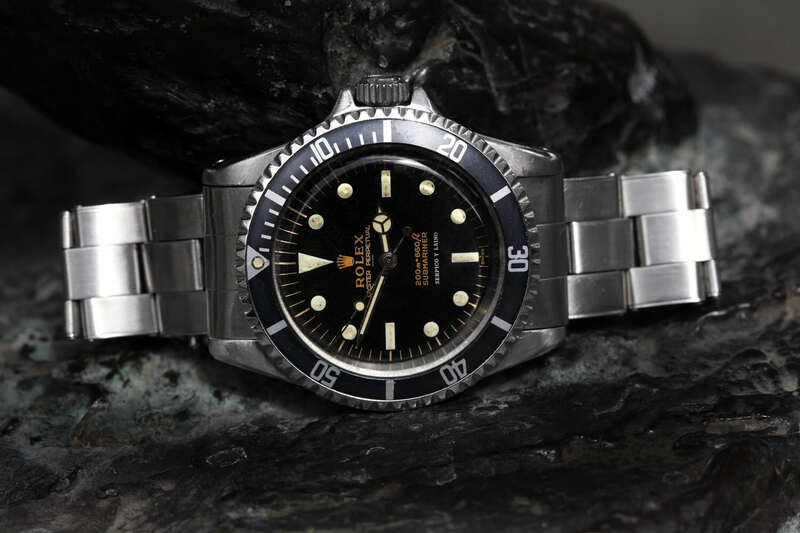 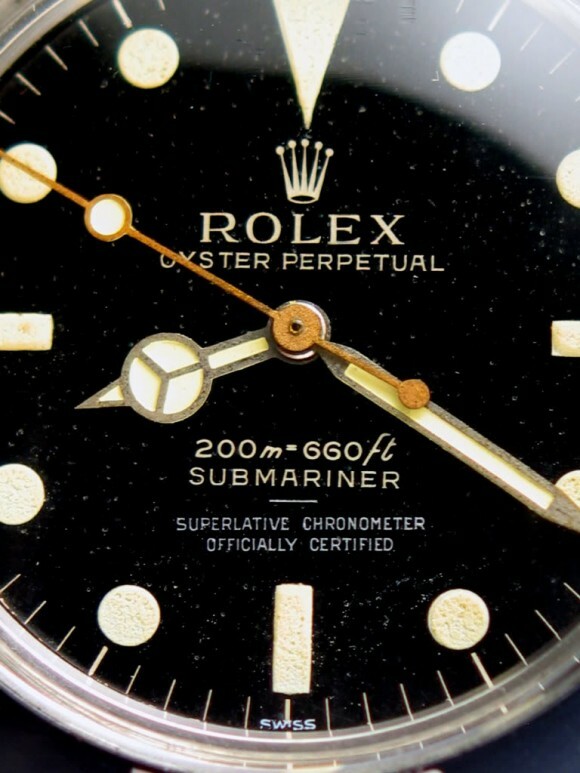 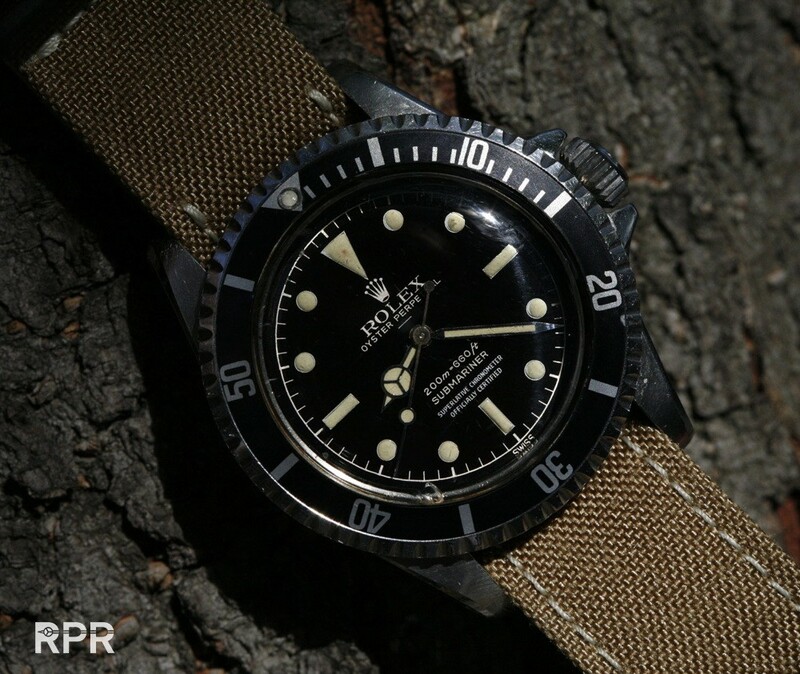 Yet another rare 4 line, minute track, last version SCOC and underline dialed Submariner ref 5512.. 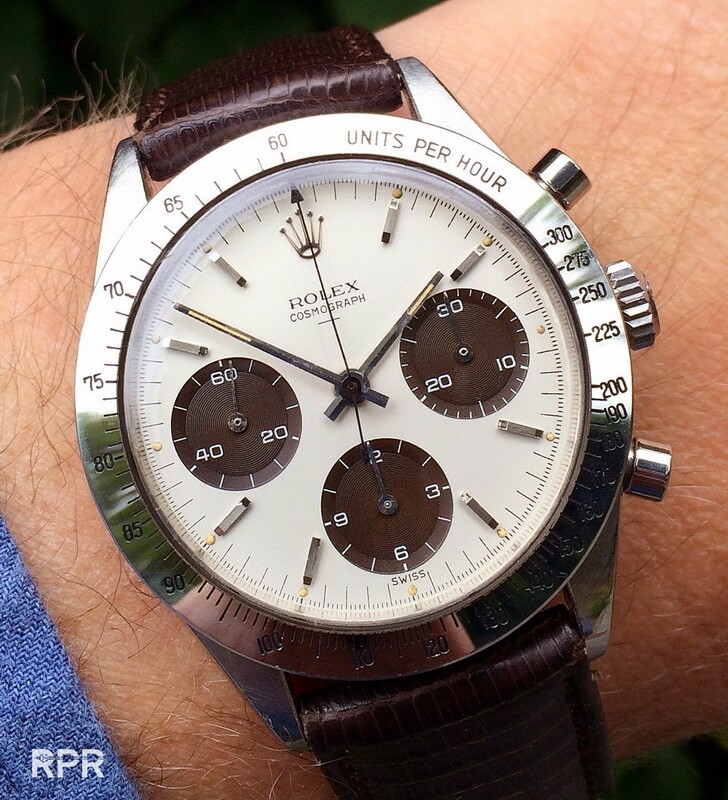 The “Hopkins Daytona”. 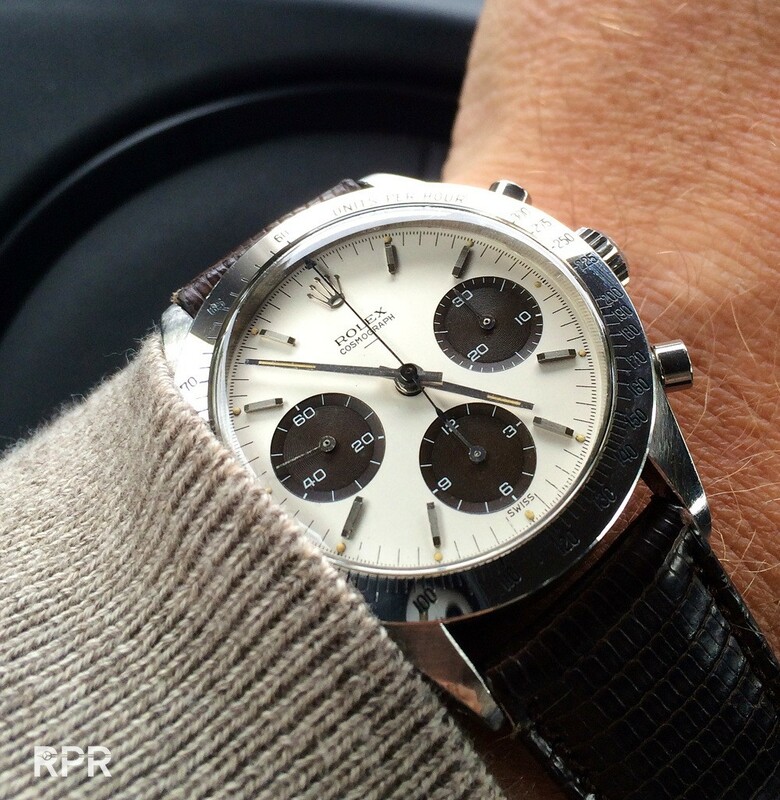 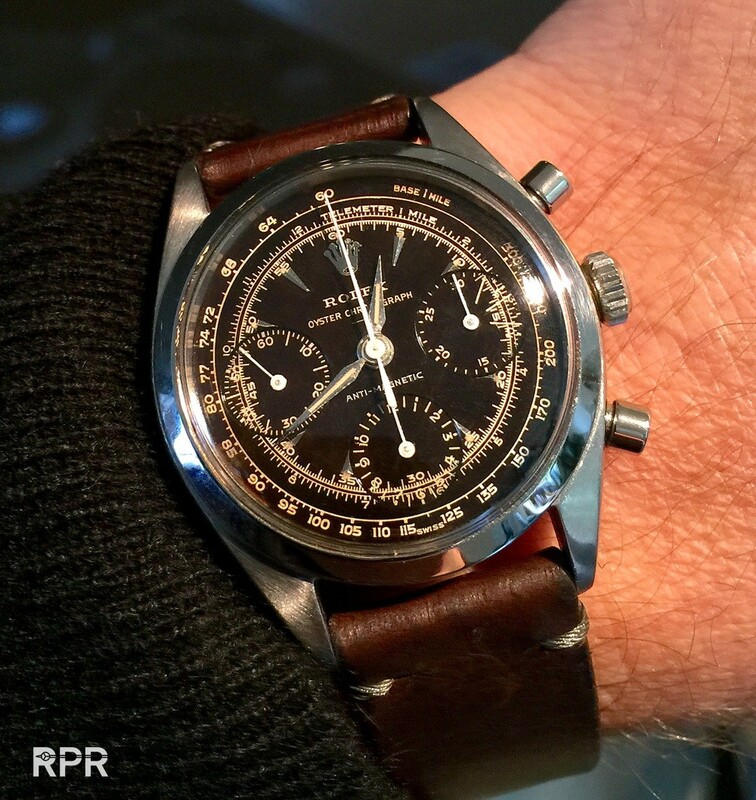 One of the VERY first Rolex Daytona Geneva had made, read the article over here…. 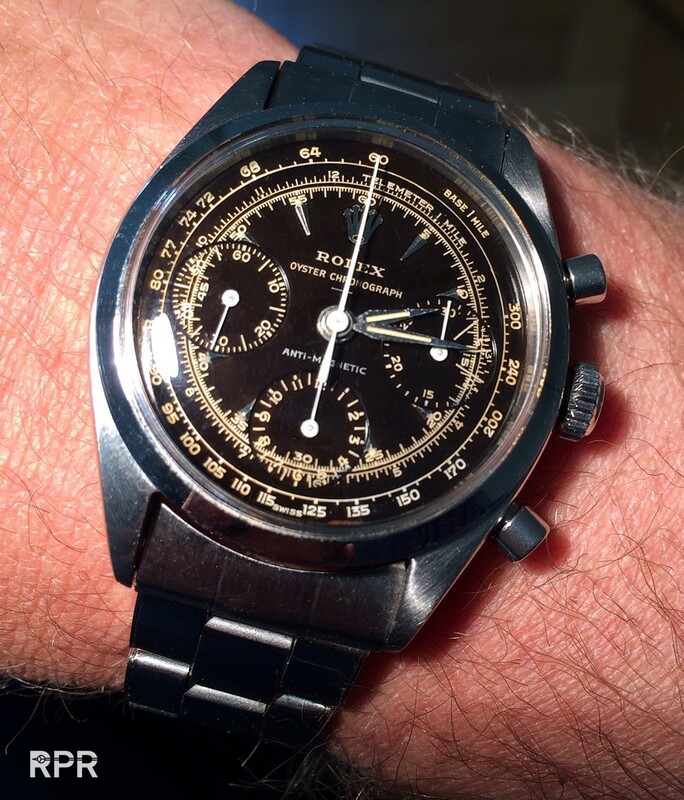 This post was written by Philipp on January 24, 2012.